Weekly, catered Shabbat dinners for locals and tourist alike! Hosted by one of the Chabad Rabbis' Family. Light Friday Night Kiddush after services complete with Challah, Wine and a light buffet. Free of charge. Open to everyone, locals and tourists alike! No need to reserve! 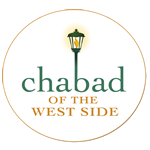 Click here to see the schedule for Shabbat services. We also have larger, community wide, catered dinners once a month. Click here to see if we are having an event this Shabbat. Every Shabbat we have a light Kiddush Lunch following services at approximately 12:15 PM. All are welcome. No need to reserve. No charge. The menu and quantity of food at the lunch/Kiddush varies and depends on the weekly sponsorship. There is always hot Cholent and Kugel. There isn't always Challah. We look forward to spending Shabbat with you and your family!